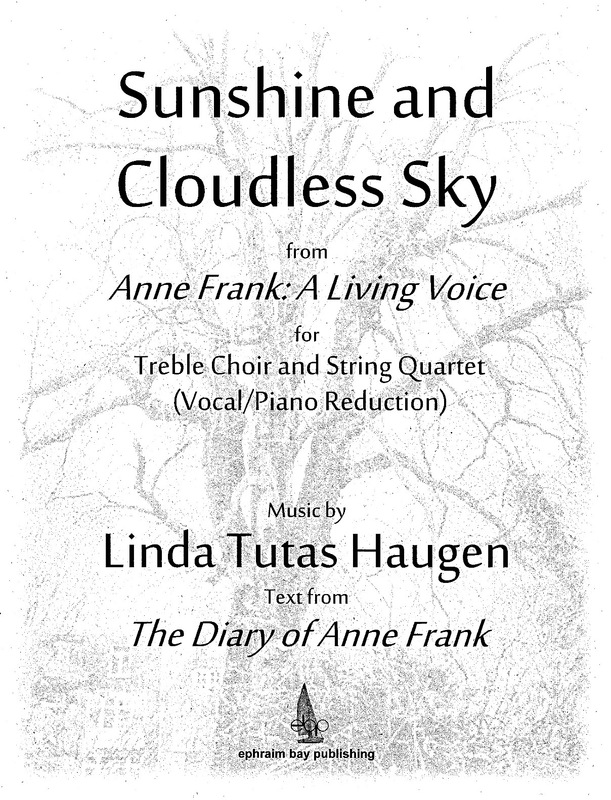 The fourth movement of a larger work for women’s choir and string quartet, Anne Frank: A Living Voice, this piece uses excerpts from Anne Frank’s Diary dated February 1944 and March 1944. These texts show how Anne was able to find meaning and beauty in nature in the midst of hiding in the secret annex. The music is full of motion and life. 2011 ACDA National Women’s Choir reading session selection.